When will be Danger UXB next episode air date? Is Danger UXB renewed or cancelled? 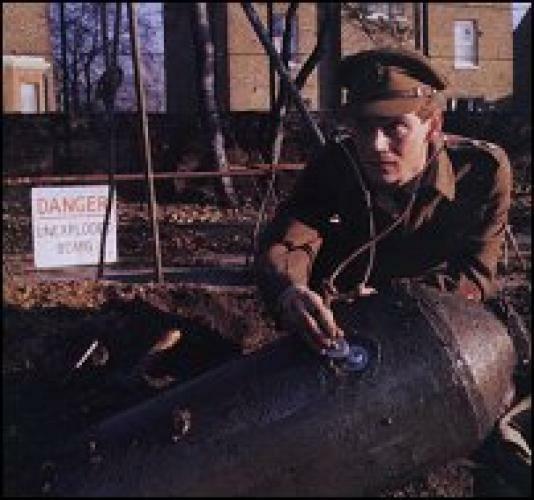 Where to countdown Danger UXB air dates? Is Danger UXB worth watching? Lieutenant Brian Ash is a newly commissioned officer assigned to 347 Section of 97 Tunneling Company, Royal Engineers, which has been assigned to explosive ordnance disposal duties during the Blitz in World War II. Brian and the men of 347 Section are sent to dispose of a plague of small, lethal butterfly bombs concealed about the countryside. Brian must defuse a bomb designed to kill anyone tampering with it; Brian's hopes for a future with Susan rise when Stephen drowns himself. Susan agrees to marry Brian; Brian is seriously injured in a mine explosion, and doctors fear damage to his mind may exceed bodily harm. Despondent Brian mopes about, blaming himself for Brinckley's death until Rodgers persuades him to defuse an extremely complex UXB. Danger UXB next episode air date provides TVMaze for you. EpisoDate.com is your TV show guide to Countdown Danger UXB Episode Air Dates and to stay in touch with Danger UXB next episode Air Date and your others favorite TV Shows. Add the shows you like to a "Watchlist" and let the site take it from there.